Green roofs have been popping up everywhere lately. Large-scale developments such as Malaysia's Forest City have been making waves, and there are even plans to create a 30-acre green roof on top of a former shopping mall in California. But although green roofs have actually been around for centuries, it's only recently that designers have come to develop the technology to take advantage of all they have to offer. 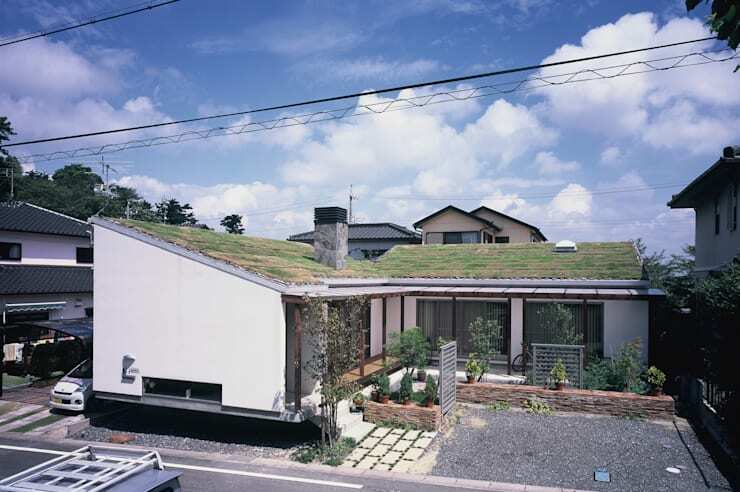 Today, we will explore a lovely rustic Japanese home with one such green roof. Like most modern green roofs, this roof is anticipated to have a long lifespan because of the protective layer. This layer also provides great insulation for the home and helps reduce heating and cooling costs. But it does more than that. 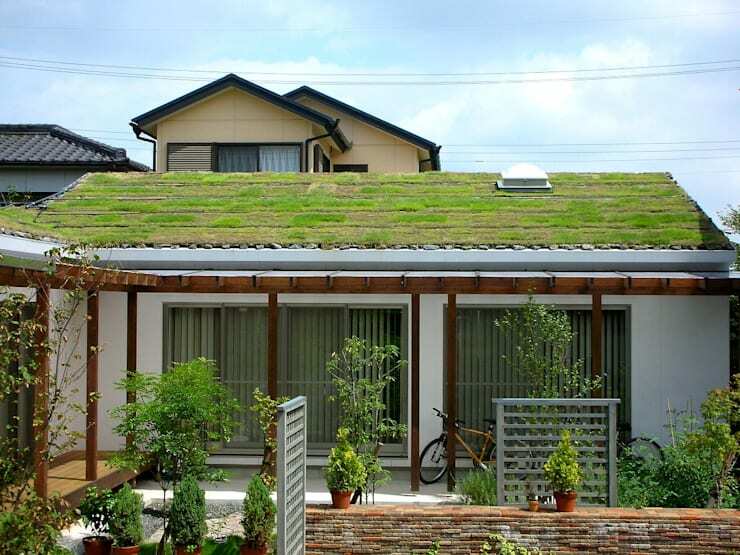 A green roof has innumerable health benefits. The greenery helps filter toxins out of the air, reduces the runoff from rainwater and filters it at the same time. But what we really love about this green roof is that it's beautiful! 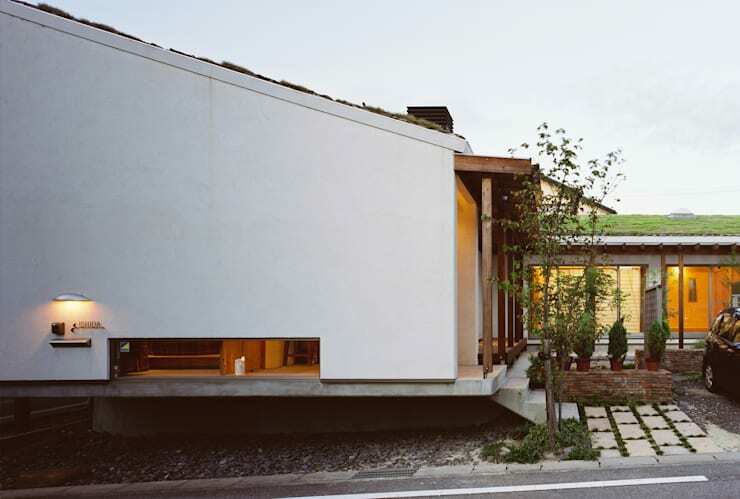 Of course, the creators Oguri Architecture have created more than just a green roof, so we'll take a photo tour of the complete home. We hope you enjoy the journey! We will delve into the details of the green roof a little later, but for now, we will explore the general layout. The single level home has an L-shaped configuration. 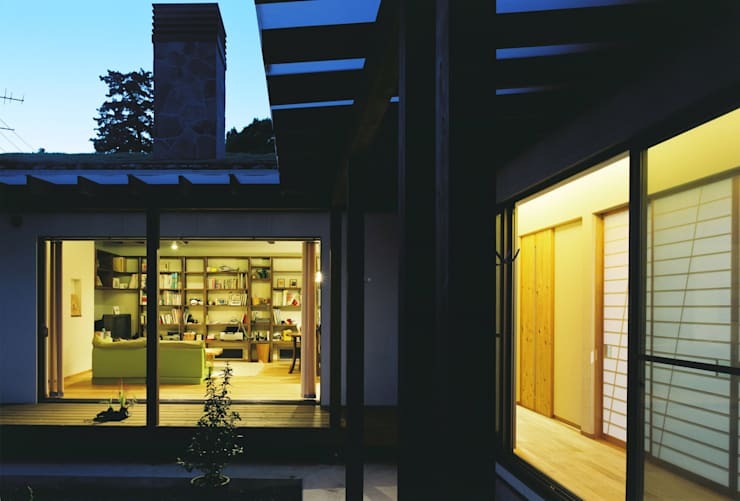 This layout creates a partial enclosure that embraces the small courtyard, increases interior light and creates a very natural connection to the small garden. In a sense, the shape almost forms an outdoor room. The wall facing the street has this unusual horizontal low-set window. It's a lovely feature that we've seen in a lot of contemporary Asian homes. This kind of window is perfectly suited to high-density urban areas. It allows the occupants to retain lots of privacy while inviting that all-important natural light to enter the home. There are two types of green roofs. One is intensive, with lots of different types of vegetation and a soil depth of 6 inches or more, and the other, like this is called extensive. It is far easier to maintain than the former and looks just as beautiful. The creation of this roof was actually a community effort. The owner, architect, friends and co-workers came together, to help build the various layers. There is a huge amount of variation in the materials used, but here, the builders used a waterproof sheet, water retention sheet, coconut mat and grass. They also installed an irrigation system between the turf, so the grass is automatically watered. In this evening view, we get a feel for the relationship between the two sides of the home. The simple narrow outdoor walkways create a friendly, outdoorsy feel to the home. This privacy outdoorsy feel isn't easy to create in a dense urban neighbourhood. 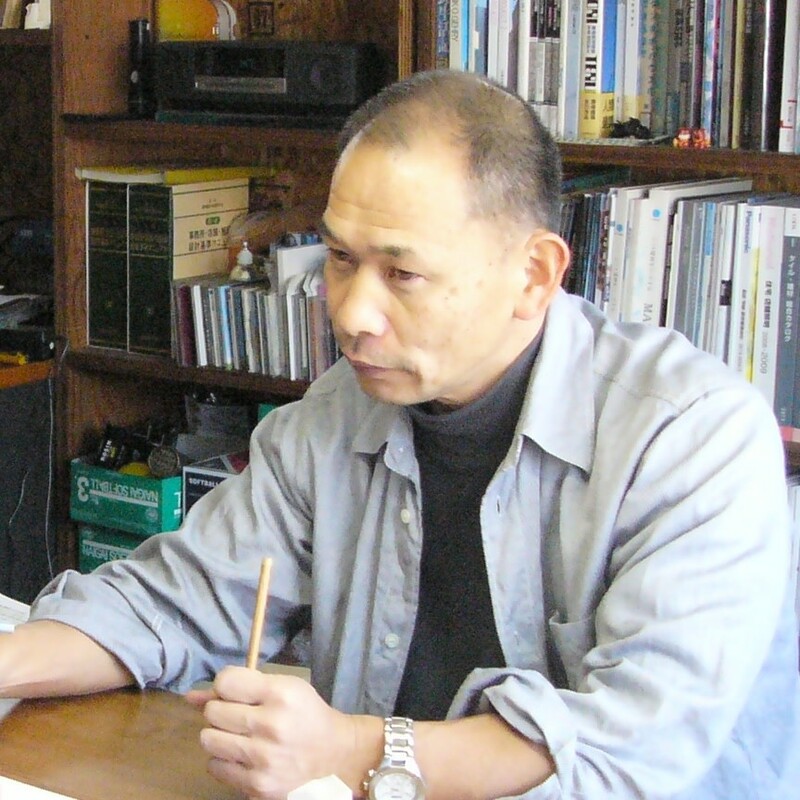 At the same time, there is a welcoming, warm quality to the building. This is, of course, accentuated by the natural materials and large, floor-to-ceiling glass windows. 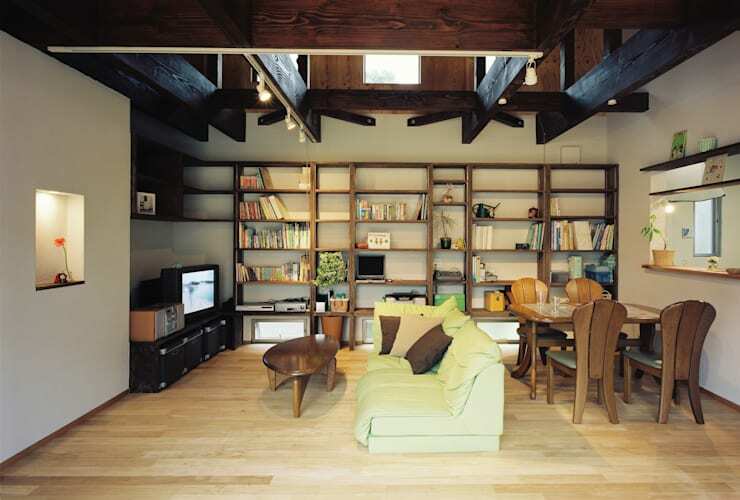 The contemporary rustic living room has lovely dark open built-in book shelves. 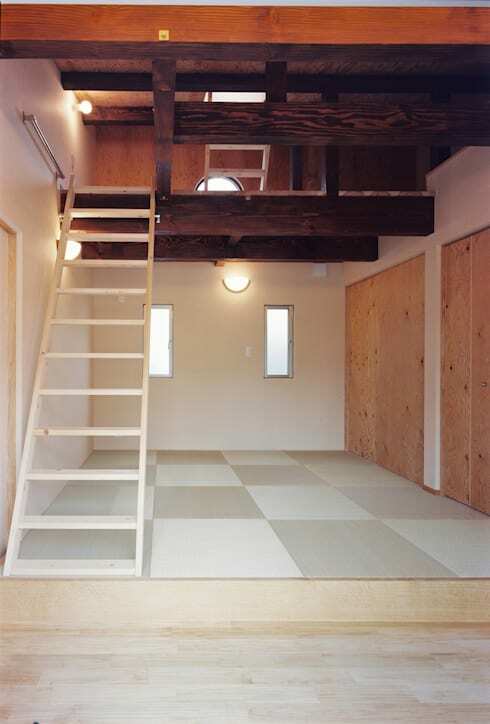 It also has an open double height ceiling with exposed timber beams. These really add an open, organic feel to the home. Note the large angular beams used to support this upper wooden structure. They are slightly unusual and add a cosy, almost eclectic look to the room. It's cosy, but without a whole lot of decoration or detailing. This is one of the greatest benefits of eco-design. The simple wood stairs leading up to the loft bedroom are in strong contrast to the other timber features in this space. This area has almost no decoration, but the meeting of a mixture of timbers with very different textures and colours all work together to create a very strong, warm organic ambience. The timber bathroom here has a lovely view of the courtyard and a great balance of beauty and function. It's all too easy to think a bathroom should be all white, so it's refreshing to see a black bathtub for a change. 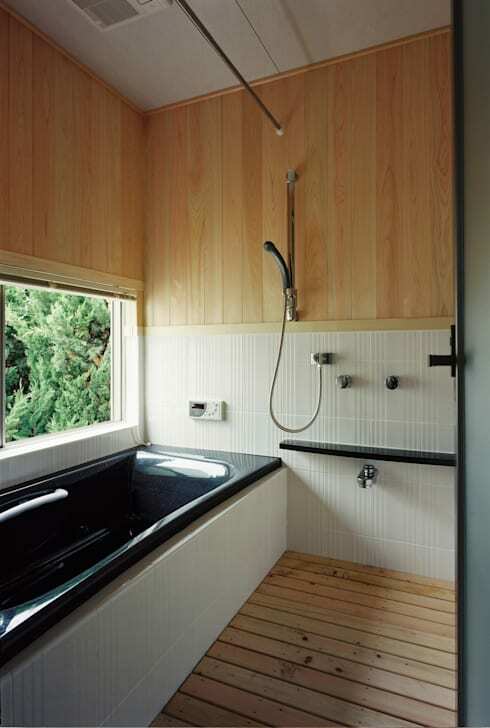 Finally, we love the open shower with the open timber cladding underfoot. That finishes up our tour, but keep reading! If you are interested in rustic homes, you'll love this Ideabook A Contemporary Rustic Home in the Woods. What do you think of the green roof on this lovely home? Would you like one? Share your thoughts with us!